Nami Hsu Sep 18 2016 7:43 am @Azzy: Yeah. I thought so. I came here to check it as well. dinu Jul 16 2016 2:27 pm Kim young jae is very cute.like a bad angle. yazumi mitsuki rhea Apr 29 2016 10:23 pm i like kim young jae he is so cute and cool. lorielyn Apr 24 2016 6:04 pm Saranghae...oppa..Kim young jae.I'm a big fan of yours.I wish you can visit the Philippines.I love watching your movie with woo hyun,sae Ron and sung yeol.I really lovethe cast of hi school love on ,specially you.. God bless..aand more project to come!"! rena lyn Apr 13 2016 5:48 am haha ☺ I thought I was the only one who's thinking that he's Lee Ho Won. Waaa ☺ saranghae oppa Kim Young Jae! raine Jan 31 2016 4:55 am @stella, ne!!! nado~ his first appearance, he really looks like HOYA!!! that's why i first wondered, "why they didn't include Hoya oppa as one of the casts also. XD" *he's not neither... kkk. aina Sep 04 2015 11:23 am How can he so cute????? Haru Aug 08 2015 4:40 pm I swear! He really looks like T.O.P. from BIGBANG! Like the baby version. I watched Hi! School Love On and all I could think of is the baby version of TOP whenever I see him in the drama... Anyone thought of the same thing? sab Jul 25 2015 6:06 am please cast him as young gon for cheese in the trap drama!! himaya Jul 04 2015 5:29 am honestly you're so handsome. i hope you will be so popular in your country.i wish you all the best with all my heart. Kyle Lee Apr 13 2015 2:58 am I fell inlove with your character. I don't know what to do now..
Purplay04 Apr 05 2015 10:03 am I meant to say ZE:A's. Purplay04 Apr 05 2015 10:02 am Can anyone please tell me if this is the same guy as Z: A's Kim Dong Jun. Because the birthdays are different and they look like the same person. Life is so confusing. But like the last names are the same too! Like wtf. They're the same person right? Im not crazy. junghyun Feb 20 2015 10:00 pm Annyeong oppa! Why are you so cute? Are you really 19th old? You so younger than my brother. I'll be waiting you next drama and fighting! YaYa Feb 17 2015 6:48 am Oppa !!! I saw u in Hi ! School Love On . Why u are so cute ?! Love ya so much oppa fighting!!!! ellie Feb 15 2015 6:04 am Hi! Oppa,despite your character, you were the cutest in Hi! School Love On. I can't wait to see you play a leading role.All the best for your future! Fighting! Soo Jung Feb 10 2015 4:08 pm Annyeong Oppa. I loved when I saw you in Hi! School Love On. You are a great actor, there is no doubt about that. I just finished the 19th episode of The Heirs. The young Won looked an awfully lot like you. Could it be? iKON's maknae Jung Chanwoo played Kim Tan (Lee Minho)'s younger self earlier in the drama. Was it you who played a young Won, Kim Tan's brother? Saranghae Oppa Feb 07 2015 1:43 am you were so annoying in Hi! School - Love On .... but your pretty attractive ;) i hope you become lead in your dramas your gonna do in the future BUT MAKE SURE YOUR THE GOOD GUY OKAY!! Rachel Jan 16 2015 7:27 pm I love you to bits. When you get hit those scars on your face makes you cuter ahahah is it just me or .. You cutie. Keep acting. T.T Jan 16 2015 7:25 pm Hello, in high school love on, you were the cutest, I wanted to let you know I want you to be the main character. malsha sandamini Jan 12 2015 6:19 am hey. you .i really wanted to slap you every time i watched hi school love on..how came a person like you having such a cute face become so rude. I know that is only acting . But i cant thide my anger when you act that creul. Now thinking about that it seems you have done Really great in this drama .how ever do better in your next drama. Dont you ever try to become that rude in your real life.or iam really going to kill you!!!!!!!!!!!!!FIGHTING!!!!!!!!!!! Soo Byul Jan 04 2015 2:10 am I thought he was older than me..we're the same age. juhyun Dec 22 2014 10:43 am omonaaa... i actually screamed when i saw that he is only a 95liner!!!!!! i though he was same age with the other cast in HSLO...... im falling in love with him!!!! may Dec 20 2014 12:52 pm he is super. he is cute and his acting is eye catchingggg ~~~~~~ Hope to see you in more dramas!! Dasha Dec 16 2014 9:37 pm You are very good aktrer continue in the same spirit. yehhht Nov 07 2014 6:19 am he looks like b.a.p's zelo!! ericaaaaa Oct 31 2014 11:25 pm I always thought that he's Hoya. Haha! I love his face! :D hwaiting! yongjae-ssi! kim han na Sep 17 2014 1:50 am kyeopta!! very cool.. but i don't like he character in drama hi!school love on.. By the way he look cool and handsome..
friana Sep 01 2014 4:04 am he's like Kim woo bin..
nil Aug 12 2014 9:14 pm 1st time I saw him acting.. i feel like "woow,his smirk look alike kim woobin" Hahaha.. good job.. hwaiting !! azzh Aug 10 2014 10:07 am his face remind me of Kim woo Bin and my crush, jordan ng ^^ damn so handsomeeeeeeeeeee!!!!... T^T fall in love when he make his serious face :* I love Kim Young Jae.... !!! he so cute! HaneeIsMyName Jul 23 2014 11:07 pm You kind of reminds me of Kim Woo Bin and Lee Hyun Woo at the same time :D..
arafarisha Jul 20 2014 10:22 am he looks like kang in a bit! 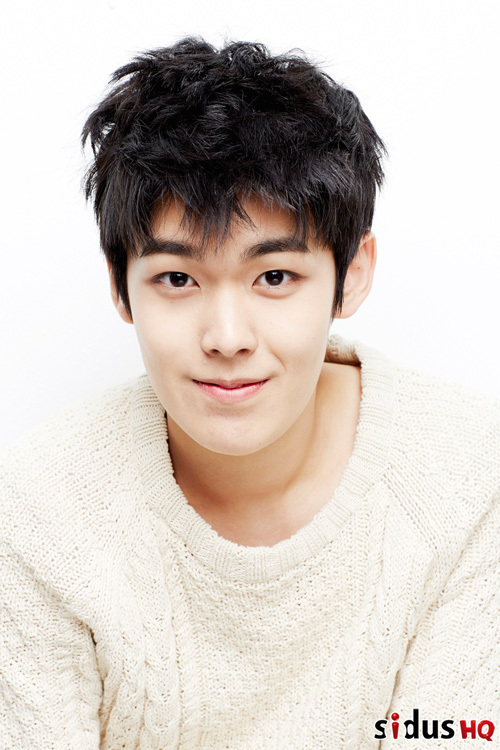 but in high school love on, he looks like woo bin! idk! hahaha but he's really great actor! i'm looking forward for his acting in future!